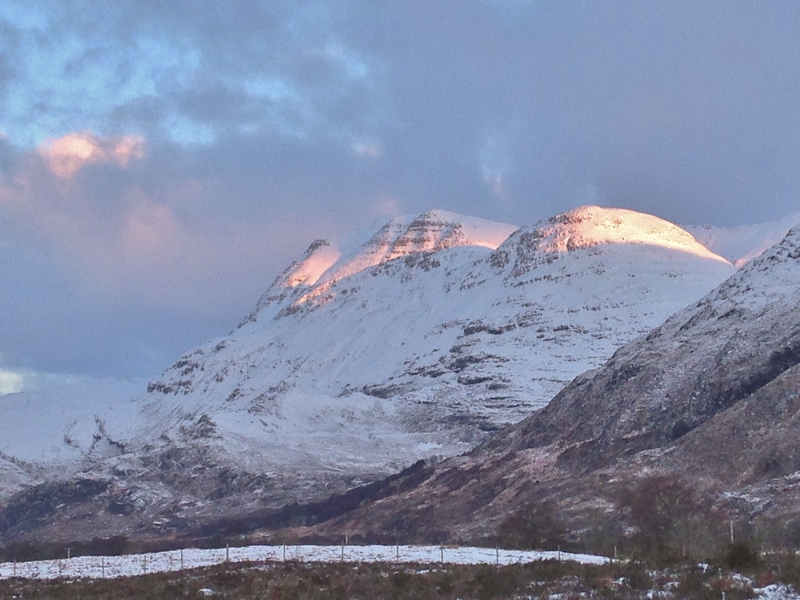 SAIS Torridon Blog » Sun and Snowshoes! 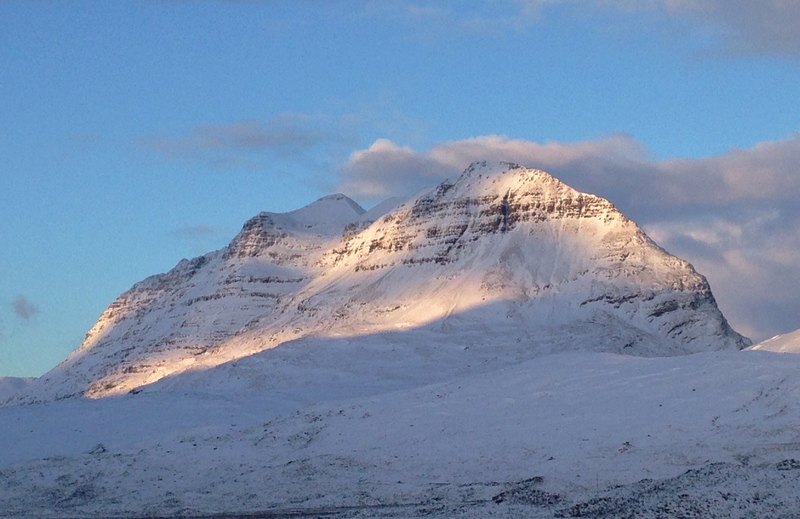 A lovely sunny day in the Torridon hills with generally light NW winds and broken cloud. Some isolated light snow showers mainly on the more inland hills. There is some heat in the sun now as we move through February. But still very cold particularly in the shade. A bit less cold tomorrow with some light snow at times through the day and fresh SW winds. 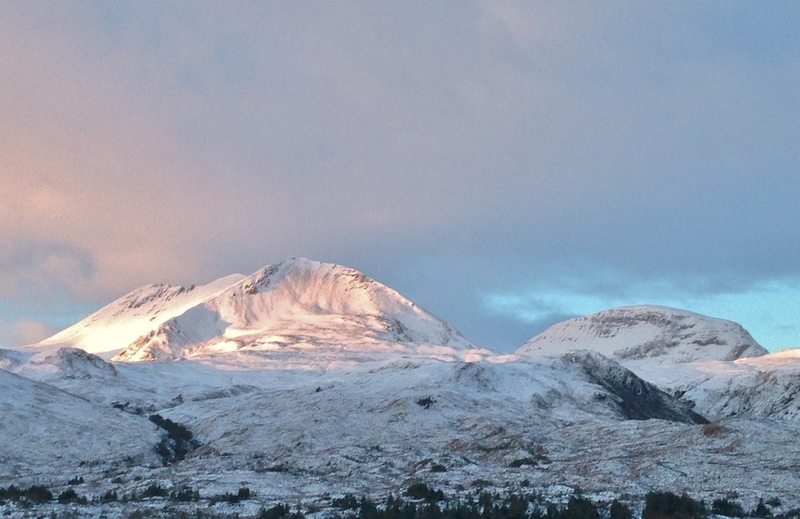 Alpenglow on Slioch this morning. Creag Dhubh of beinn Eighe and the Corbett of Ruadh-stac Beag on the right. 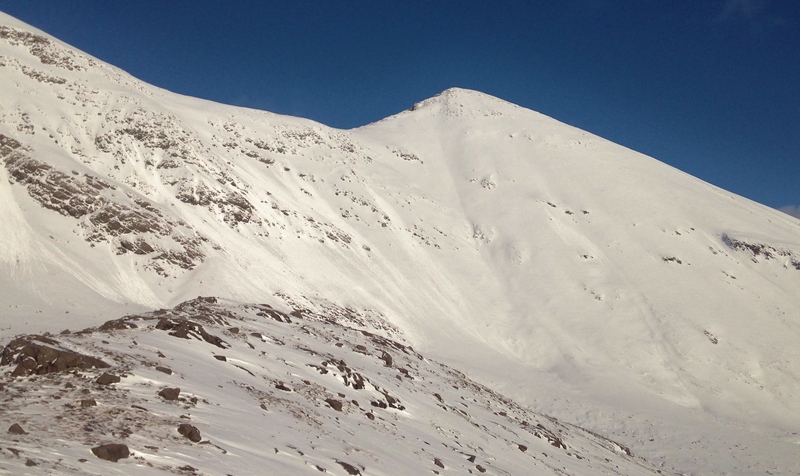 Sgurr nan Fhir Duibhe and Creag Dhubh, Beinn Eighe. Some cornice collapse debris noted along the summit ridge between the two peaks. 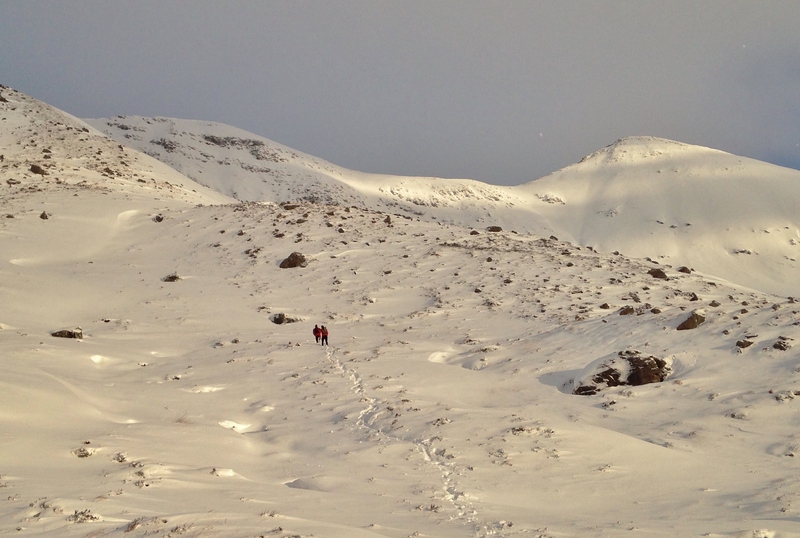 Deep drifts on the path into Coire an Laoigh on Beinn Eighe, but generally avoidable with some good route choice. Two hill runners were breaking trail ahead of me this morning, but I still preferred snowshoes to negotiate the deeper areas of snow. 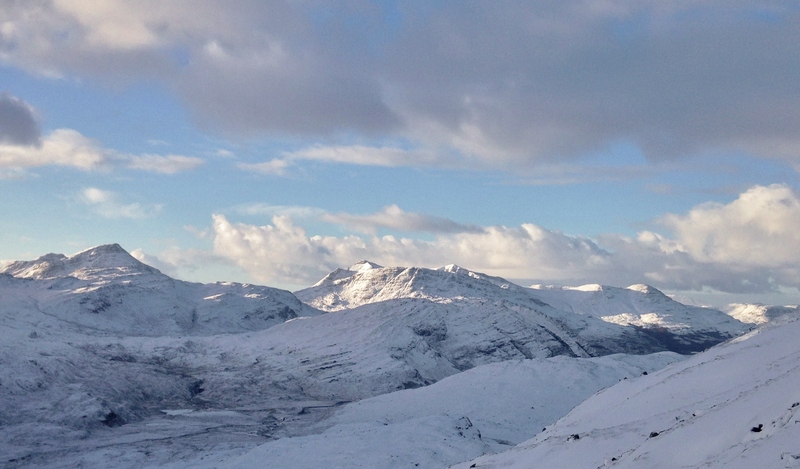 The south Torridon hills across Glen Torridon, looking onto the more scoured windward sides of the mountains. 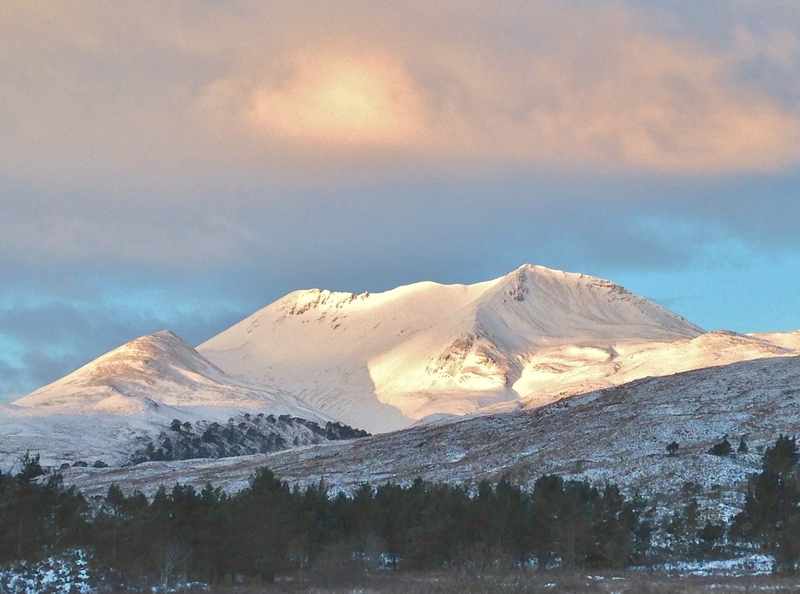 A snowy looking Coire an Laoigh. Cornice collapse triggered slab avalanche debris bottom right, running into the coire from the summit ridge. The slab is generally soft and shallow and the avalanche tracks have become confined in places. The southerly aspects of Coire an Laoigh were yesterday’s and overnight lee slopes during heavy snow showers and strong north winds. 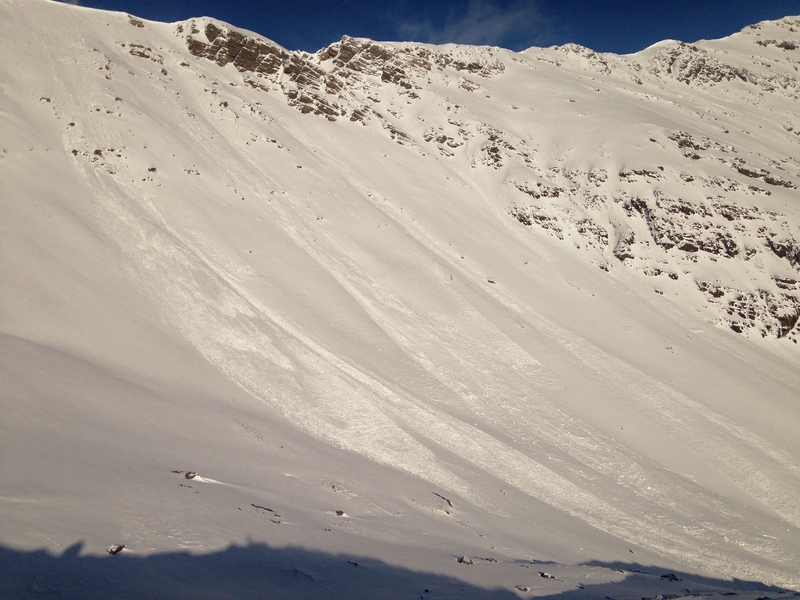 The avalanche tips crossed the normal access path into the coire! Rapid growth cornices ‘release’ at times during heavy drifting. Sun induced single point released occurred on the southern slopes as the day progressed.